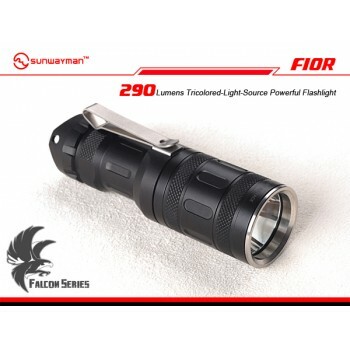 The F10R is a compact CR123A powered multi-emitter flashlight. With up to 290 lumens of output with an effective range of more than 78 meters. Two mode groups accessed by tightening or loosening head, then half pressing switch to change modes.